The veteran lefthander said he stayed ready by working out on his own as he waited for a team to call. TAMPA, Fla. — Gio Gonzalez spent the winter, as many of his free-agent brethren did, waiting for phone calls and offers that never came. But as the calendar flipped to February and pitchers and catchers reported to spring training sites in Florida and Arizona, Gonzalez acted as if he was in camp somewhere. The lefthander headed to various places around his Miami home, including the University of Miami, to throw and stretch and work out. He was simulating spring training as best he could. The result of that call officially bore fruit Monday when the lefthander agreed to a minor-league deal with the Yankees, who find themselves already testing their rotation depth as CC Sabathia and Luis Severino are set to start the season on the injured list. Gonzalez, who made a combined $47 million the last four years, will earn a base salary of $3 million if he’s on the big-league roster and can increase that significantly with a variety of incentives, which includes starts. Gonzalez, 33, has an out clause he can exercise April 20 if he’s not in the majors. How quickly he can get himself in position to be a part of it is the question, one that will start to get fleshed out in the coming days. Gonzalez, scheduled to throw a bullpen session Thursday, said he threw a five-inning, 88-pitch simulated game on Monday. Since mid-February, when pitchers and catchers report to camps, Gonzalez treated his workouts as if he was in a camp. For that reason he doesn’t feel there’s a steep hill to climb to catch up. “I’d hate to say no chance, but we’ve got to see what we have,” Aaron Boone said from West Palm Beach of Gonzalez’s chances of making the team out of camp. 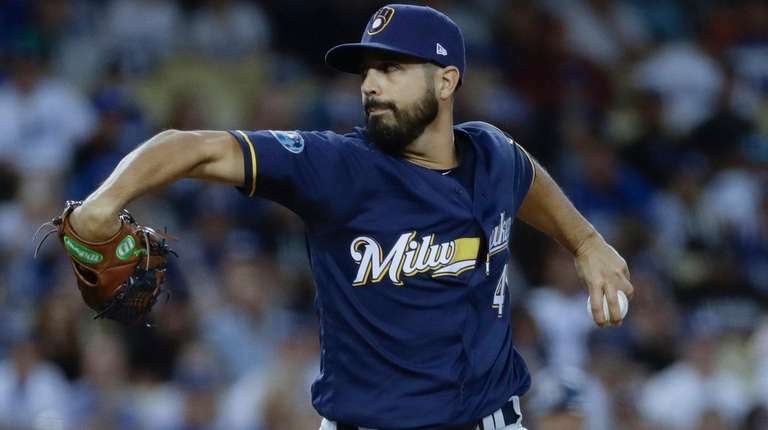 Gonzalez is coming off a 2018 in which he went 10-11 with a 4.21 ERA in 32 starts with the Nationals and Brewers. He made five starts with the Brewers after being dealt to Milwaukee in an Aug. 31 trade, going 3-0 with a 2.13 ERA. Gonzalez previously pitched at Steinbrenner Field as a teenager with Hialeah High School during a pair of playoff runs that resulted in state championships. He said multiple times he was thankful for the opportunity with the Yankees.